NEW YORK—When Sebastian Lambertz arrived in the city from the town of Norf in Germany he could not stop people-watching. He was completely fascinated. The rich variety and unstoppable energy of New York seemed to finally match his own pace, curiosity, and gregariousness about life, music, and the arts. 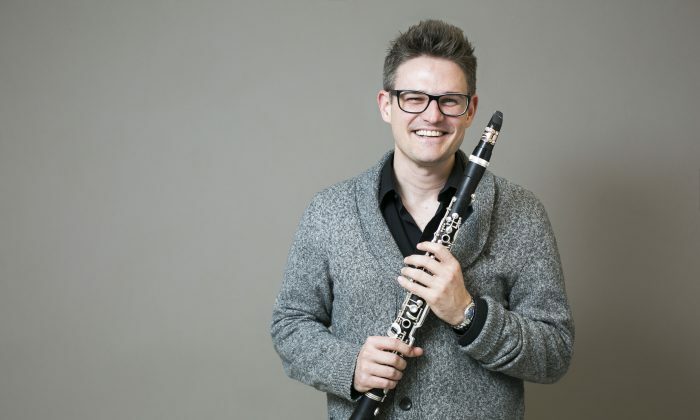 “When I do something, I have to be 100 percent into it, otherwise I can’t do it,” he said, reflecting on his music career so far at The New School where he studied with the clarinet virtuoso, Charles Neidich and where he recently completed a Professional Studies Diploma at the Mannes School of Music. Hearing him play the clarinet, there’s no question about his passion and dedication. He captivated the audience with ease playing Franz Schubert, Johannes Brahms, and Francis Poulenc with a chamber ensemble at the Bruno Walter Auditorium at the Lincoln Center on Nov. 18. His sound is very clean, flowing naturally from his breathing and technical dexterity, with subtle changes in color. His presence on stage is both buoyant and assuring. Lambertz started studying music at age 8. He assumed he was the worst student in the class because the teacher would always kick him out for talking too much. Then when it came time to choose an instrument, he picked the synthesizer but his teacher said no. She urged his parents to convince him to play “a real instrument” (one where he could produce the sound directly versus relying on electricity) because he was the most talented student she’d ever had. Fast forward a couple of decades, and Lambertz has had a two-year stint playing in the orchestra of the Staatsoper Hannover (Opera House of Hannover); he played with the Bamberg Symphony and other philharmonic symphonies; he has toured in Europe, Asia, and North America with his own ensembles; has participated in numerous international festivals; and has regular live and studio recordings with all major German broadcasting companies. A good piece never stops, you can listen to it 500 times and you will find something new in it. While the progression of his professional career as a musician appeared quite smooth on the surface, it almost came to a complete standstill in 2012 when he was playing at the Staatsoper Hannover. For many professional musicians their ultimate goal is to play in an orchestra, but Lambertz eventually felt stuck. “It was a great experience to play all the great music and big opera repertoire, but in a traditional orchestra you do the same things year after year. The communication within these orchestras often felt rather old-fashioned to me, more hierarchical. … So I decided to do something else,” he said. So he thought about other ways he could do music. He also needed a backup plan. Since he loves bringing people together, organizing ensembles, and making things happen, he completed his Masters in International Arts Management at the Center for International Arts Management (CIAM) in Cologne, Germany. He would be a producer. That is a challenge. When he introduces himself as a professional musician and says he’s also a producer, or vice versa, some people assume that he’s probably not a good musician. He wonders if one day he will be easily recognized and accepted for both. As beautifully as he may play Mozart’s clarinet concerto, for example—which is considered a kind of holy piece for the clarinet—even those closest to him (nonclassical music aficionados) have told him it’s boring. Receiving such feedback compelled him to question why, and inspired him to want to find ways to make classical music more accessible and more relevant to people today. For about three years (2010–2013) he was a scholar of the Yehudi Menuhin LiveMusicNow Köln e.V. foundation and played in concerts and gigs in homes for the elderly, facilities for the disabled, and prisons. The response was incredibly positive and inspiring for him. Some tough male prisoners, for example, would melt listening to his music, becoming more gentle—perhaps kinder. The clichés of classical music being timeless or transformative were suddenly no longer taken-for-granted phrases for him. “It brought me back to again realizing how intense music is, what it’s all about, and that it doesn’t only belong in concert halls,” he said in a follow-up interview. Lambertz wants people today to feel personally connected to musical traditions and their meanings; otherwise they lose their relevance. Music of Haydyn, Mozart, Beethoven, Brahms or of any good composer touches him deeply. “If you think of Wagner it took him 30 years to create the ‘Ring Cycle’ and you can hear it. You can spend your entire life listening and reading his music. … A good piece never stops, you can listen to it 500 times and you will find something new in it,” he said. When he taught at a music school for two years, he told his students to cherish the opportunity of learning to play an instrument because even if they don’t become pros, music develops their minds in ways that will help them solve problems in any profession, in relationships, and in life. 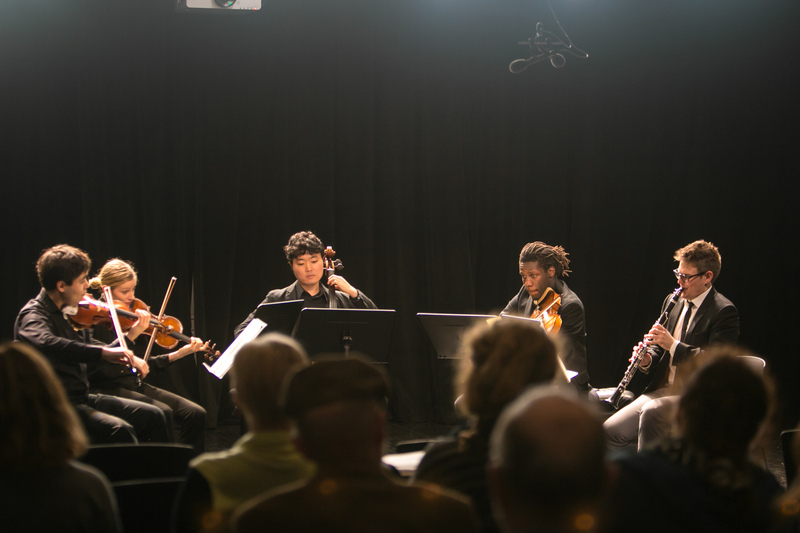 “If people allow themselves to listen to this music, they can get so many benefits from it, even if they are not aware of it,” said Lambertz. “Its not like watching TV and you have an attention span of two seconds. Classical music expands your mind—widens your horizons,” he said. Lambertz perceives this wide gap between the established classical music enthusiast, who listens to music in concert halls, and people who don’t. He dedicates a lot of his energies to bridging that gap. His current project is the “Little Ant Got Hurt—From Class to Stage”—an interactive music program for children that was awarded the Alsop Entrepreneurship Award, founded by the conductor Marin Alsop. Lambertz goes with his ensemble into elementary school classrooms. They explain to the children all aspects of the story, the music, and the instruments: what the story is about, for example what makes the little ant feel healthy again; they explain the role or the composer and the musicians: they introduce the instruments and their qualities and features, and so forth. Then they play excerpts of the piece, without telling the children what part of the story the excerpts corresponds to, and the children have a discussion about it and try to guess. 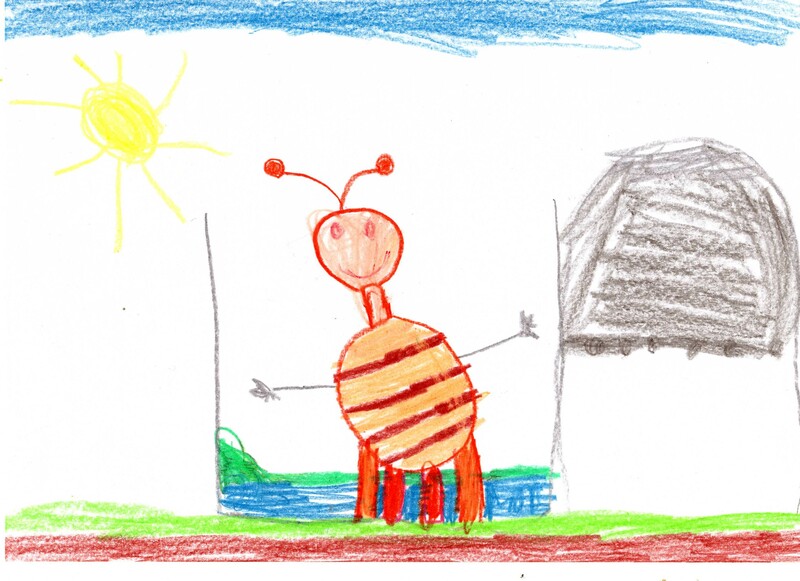 When they finally play the entire 15-minute piece, the children make drawings of the story. Then they organize a child-friendly concert at a theater. The drawings are put together in a slide show that is projected on the stage during a concert attended by all the children and their parents. “It has such a big impact. … It’s kind of an ‘Aha’ experience for the kids,” Lambertz said about the program. Before he started he assumed the children would be unruly, but he was surprised to see they were very focused and enthralled. He’s received a lot of positive feedback from teachers, who’ve told him that inattentive children become more focused. One 3-year-old girl who cried her first two weeks in school finally stopped when she participated in the program. Another child was so astounded and excited to see a double bass that he said, “I’ve never seen such a huge instrument in my life!” Lambertz recounted laughing. Lambertz has translated the whole program into nine languages. He’s run it in Germany, the Netherlands, and the United States, and will take it to Taiwan in January 2016. The slide 15-minute piece can fit in about 120 drawings in the slide show. If all of the children attend the concert with their parents, that’s at least 360 new budding audience members, Lambertz calculates. Lambertz is certainly enjoying New York and the opportunities it affords to build experience and collaborate with other musicians, video and other visual artists, dancers, DJs, and others. 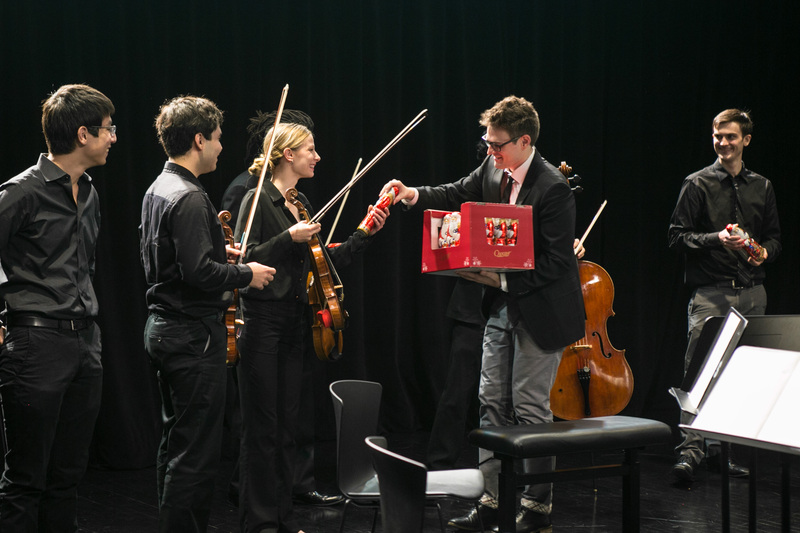 He is also working on projects to engage and attract young adults to classical music. He’s collaborating with another classically trained clarinet player who studied at Juilliard, composes music, and is also a DJ. They want to create classical music that is suitable for clubs and dancing. “Maybe at some point they will realize classical musicians are fun, normal people who are coming to us, why shouldn’t we go to them someday,” Lambertz said smiling. “This Is New York” is a feature series that delves into the lives of inspiring individuals in New York City. See all our TINYs here:epochtim.es/TINY or follow @milenefernandez on Twitter. Up and coming Tenor, Theo Lebow talks about the greatness of opera and his budding career. The young composer Vladislav Boguinia explains the inspiration behind “Rise,” a haunting piece of music, which reflects the accumulating atmospheric pollution in our environment.